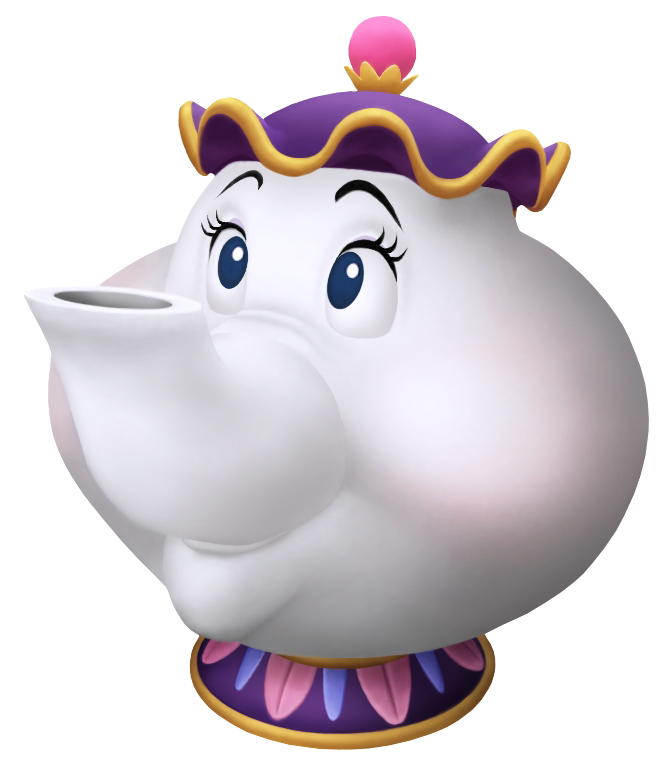 Mrs. Potts has a warm and motherly aura, fitting for a teapot who is always ready to warm your heart with a cup of tea. She is the source of comfort and advice for the castle inhabitants, but is not afraid to be stern when the situation arises, not even to her master, especially in regards to his foul temper. Mrs. Potts is a mistress at multitasking as she acts as the castle's housekeeper and as the mother to the rambunctious teacup Chip. Nothing would bring her more joy than to see the Beast and Belle happy together again.